Selfie sticks are very useful to take a perfect selfie provided that you should use it in open places and less crowded places for safety and security purpose. 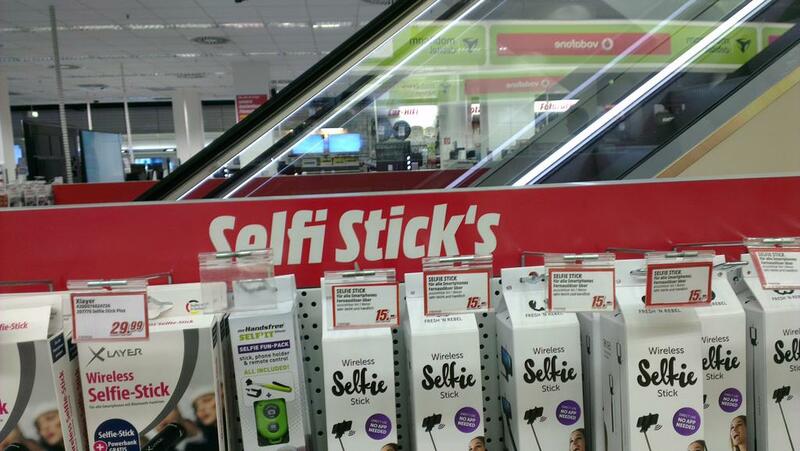 Otherwise, selfie sticks are really nice and helpful and very popular these days. Smartphone users are now generally using selfie sticks for taking selfies. Selfi is German for selfie (otherwise they would have to pronounce it differently). The boxes below are written in English. Hahaha I'm german and we definitely don't say selfi :D it's selfie in Germany as well, Media Markt stop embarrassing us!! Haha! That's true. Selfie is terrible enough, now we have selfi.